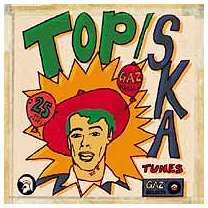 Very interesting collection of Ska tracks compiled by Gaz Mayall. All taken from his vast record collection and dubbed from disk. The sound quality is fairly good apart from the odd track. Trojan like many other labels are repackaging the same tracks over and over. It makes a change to see tracks not previously available and some great Ska tunes at that. The two tracks by Don Drummond sound the same to me? Some great instrumentals Herman Marquis with "The Teaser"great alto sax (the choice track for me) and King Edwards All Stars "Four Seasons Of The Year", its the same tune as Kingston 11 as recorded by Ronald Wilson & Roland Alphonso. Duke Reid dominated productions from Treasure Isle including Tony & Dennis, Joey & Butch, Justin Hinds, The Silvertones and The Sensations. A pull out booklet which you may or may not find that interesting. This CD is a must and a Ska collectors item available on Trojan TJCCD165.